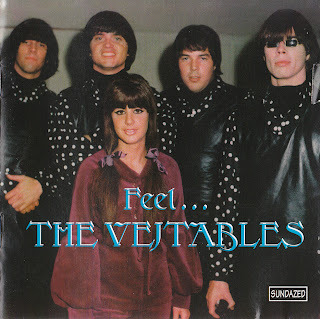 The Vejtables were one such great band from the San Francisco area, and had their discs received more promotion, they surely would have attained widespread commercial success. "Feel . . . The Vejtables" features every inch of material this mighty fine band ever recorded, including previously unreleased tracks. People talk about how influential and innovative San Francisco acts like the Jefferson Airplane and the Grateful Dead were, but here's a band that deserves just as much acclaim. Each song on the anthology possesses its own unique twist, augmented by generous samplings of hallucinogenic handiwork. 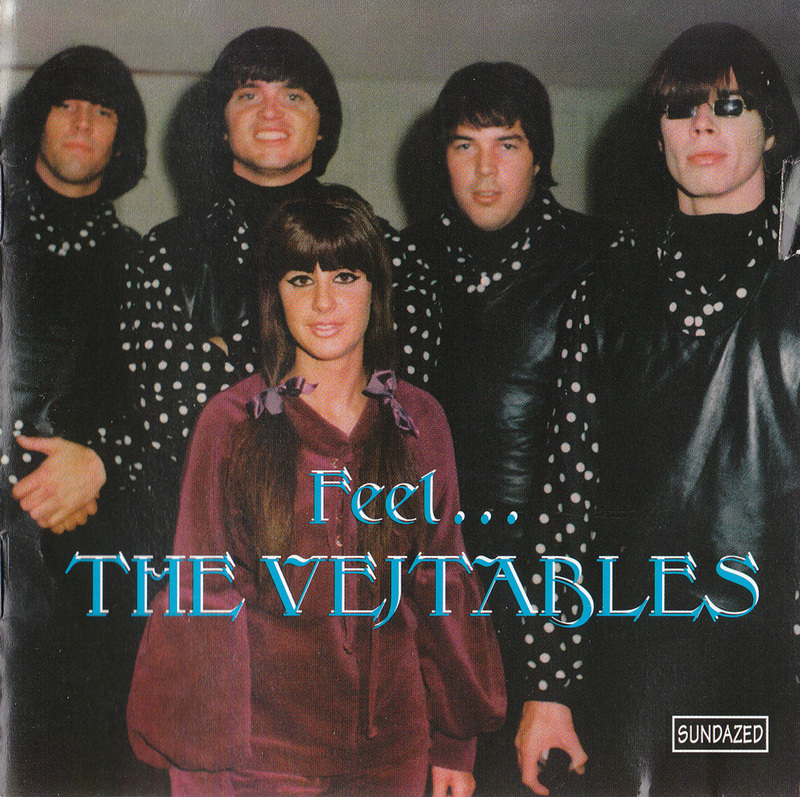 Right from the start, the Vejtables attracted attention and were signed to the local Autumn label, which also employed the Beau Brummels. The band's debut single, "I Still Love You," favorably paired bouncy Merseybeat curves with crisp and crackling folk rock overtones. A regional hit, the catchy tune resembled a razor sharp hybrid of the Beatles and the Beau Brummels, fronted by a top-dollar female vocalist, Jan Errico. Chiming twelve-string guitars and billowy harmonies were indeed an integral part of the band's repertoire. However, the flipside of this single showed a completely different side of the band. Somewhat dark and disturbing, "Anything," contained a haunting refrain and an unusual arrangement, bleached with an embryonic psychedelic complexion. The band's second effort, an enthused cover of Tom Paxton's "The Last Thing On My Mind" resonants with cool and confident folk pop moves, while "Mansion Of Tears" provides an absolutely emotive vocal performance and air-tight musicianship. 1966 was a transitional year for the Vejtables. To begin with, Autumn Records ceased to be and Jan left the fold to join the Mojo Men, another red hot San Francisco band. Upon losing Jan and their contract with the Autumn label, the Vejtables basically deserted their folk pop roots and simply got better and better. Imagination reigned and trippy raga rock aspirations pierced a good deal of their ensuing ventures. Pressed on Uptown Records, the powerful "Hide Yourself" explodes to a rush of rattlesnake sitar sensations and the comparably energetic "Feel The Music" cleverly blends wiggy Lovin' Spoonful styled jugband beats with a dollop of wicked acid-salted guitar atomics. Both these numbers are undeniably phenomenal and are best described as the missing link between snarling garage punk and jamming hippy rock. In 1967, the Vejtables switched their handle to the Book of Changes and gifted with the Tower label with a groovy single. Shaped of a snappy bubblegum pitch and goofy lyrics, "I Stole The Goodyear Blimp" echoed a tougher version of the Royal Guardsmen and was backed by "Suddenly I'm Desperately In Love," which was packaged in bluesy country rock wear and was similar to the kind of stuff the Grateful Dead and Moby Grape were linked with. As far as the previously unissued cuts go, "Smile, Smile, Smile" sits as a gorgeously melodic slice of lightly battered psychedelic folk rock, while "Rearrange Yourself" and "Time and A Place" sizzle to the core with hard driving rhythms and bold hooks you won't soon forget. In view of "Feel . . . 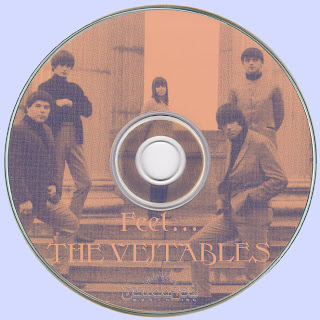 The Vejtables," the band was equally as capable of playing underground rock as they were mainstream pop music. A pity they didn't stick around longer and realize their full potential. The musicians in the Vejtables may not be as immediately recognizable as Jerry Garcia or Grace Slick, but it is important to mention that a few of them performed in other worthy bands. For instance, Rick Dey was a member of the Wilde Knights from the Pacific Northwest. He also wrote "Just Like Me," which was of course a hit single for Paul Revere and the Raiders. After exiting the Vejtables in 1966, Jim Sawyers landed a job with the Syndicate of Sound, while Richard Fortunato held a role in the Los Angeles based Preachers, a band garage rock junkies certainly need no introduction to. Yes, the Vejtables were a classy lot and this record is a testimony to their genius! Beverly, I chanced across this looking for material on The Vejtables who I know well. Bob Edwards (Bob Baily) is one of my best friends for the last fifty years. We met in 1966 when I brought them to my college for a gig. the next night one of the and was arrested locally for playing in a bar under aged. It was because of Bobs suggestion that I came to san Francisco where I Met "Uther Pendragon".